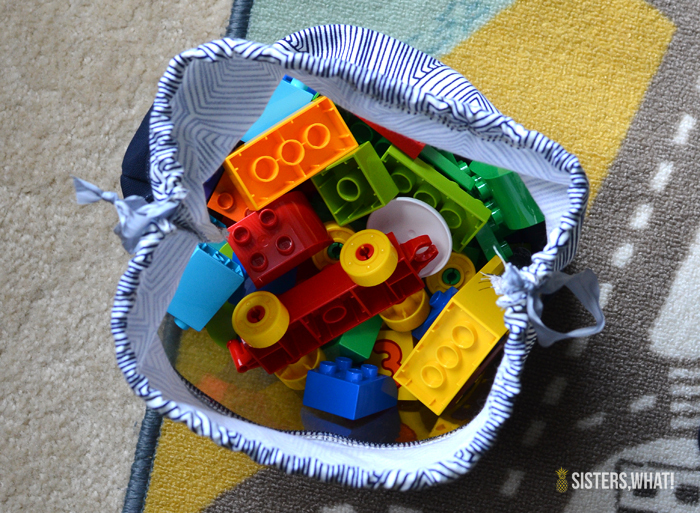 ' See Through Drawstring Toy Bag and LEGO - Sisters, What! 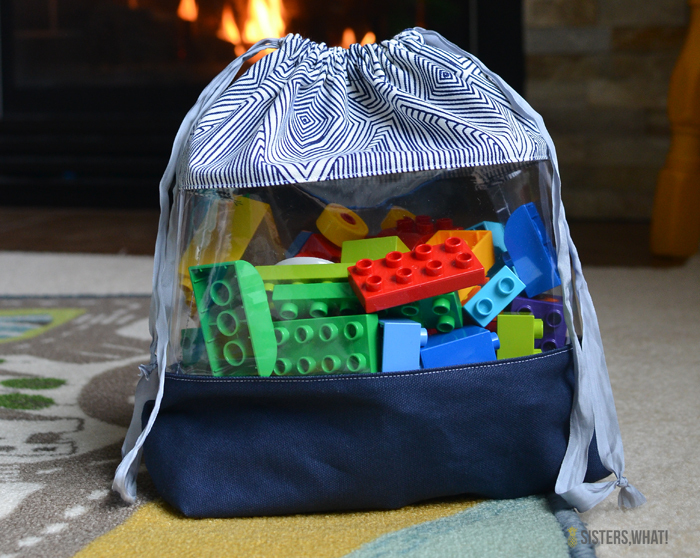 How do you do Christmas for your kiddos? 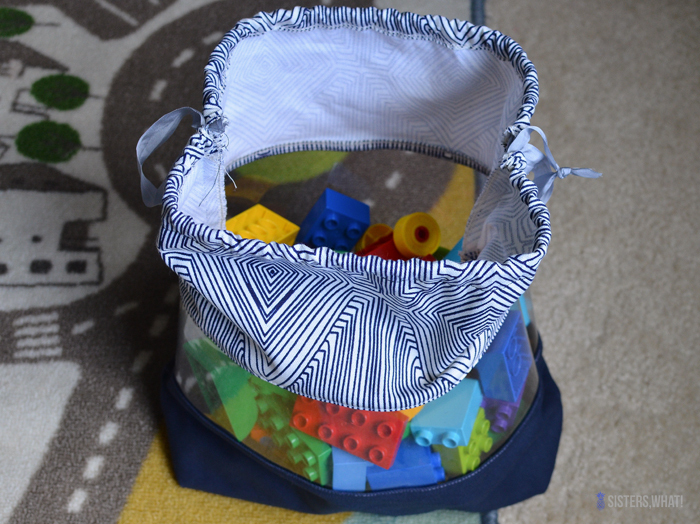 Do you like to make do homemade gift for your kiddos? I don't always do homemade, but occasionally I think of something homemade that would go with the store bought gift. 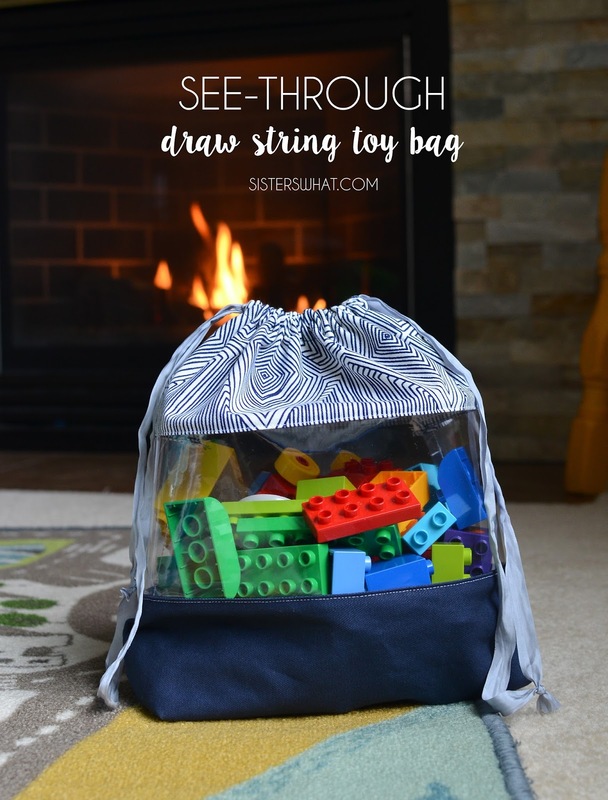 I saw this Draw String Toy Bag - (TUTORIAL HERE)and decided this would be perfect to make to go with the kiddos Christmas gift. I'm kind of obsessed with it, it took me only 30 minutes to make! I couldn't help but giving Sweet Cheeks a sneak peak of the present while her brother was at preschool(she'll forget about it by Christmas - love this age!). 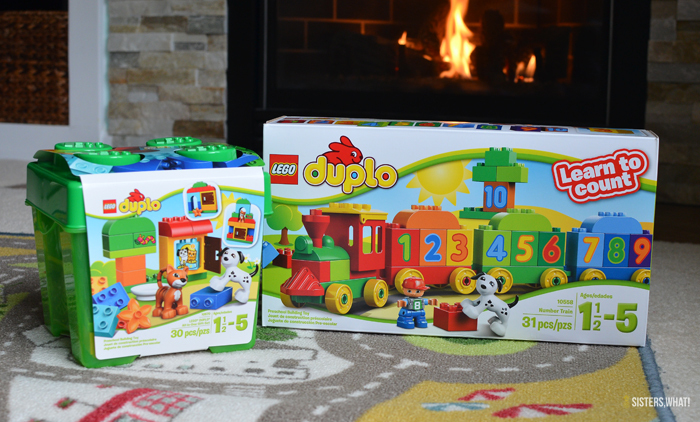 The LEGO® DUPLO® preschool building toys are perfect for both the 20 month old and 3 year old's small hands and growing motor skills, plus it still gives them room to use their imagination. I love that they're are also big and safe for Sweet Cheeks to play with. It so exciting when my littles ones get to the age when they start playing and interacting more with those around them. 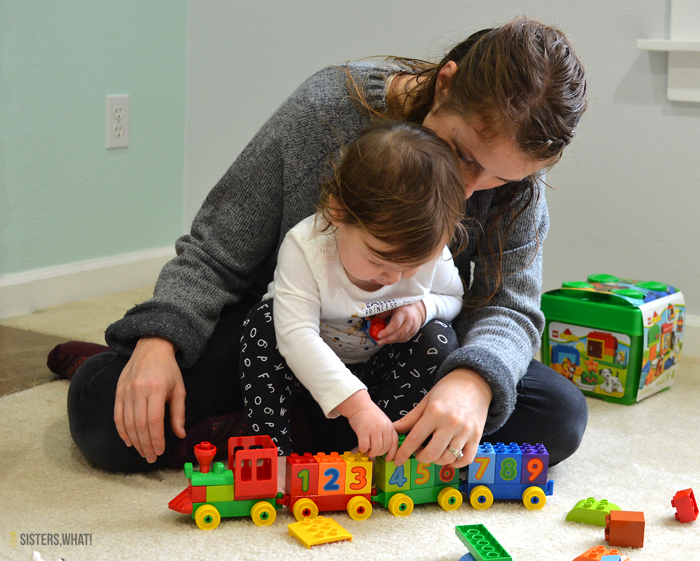 Play is such an important part of their development and is such a great way for parents to bond with their children. 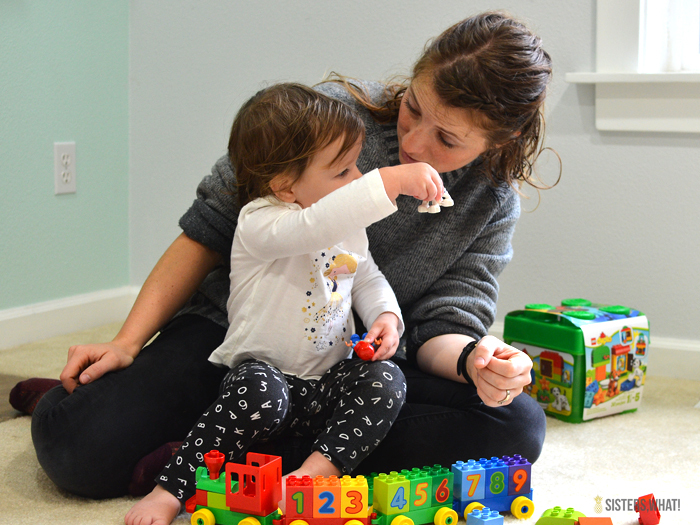 American Academy for Pediatrics talks about importance of play in improving healthy child development and keeping a strong child-parent bond. Find the full article HERE (such a great article). 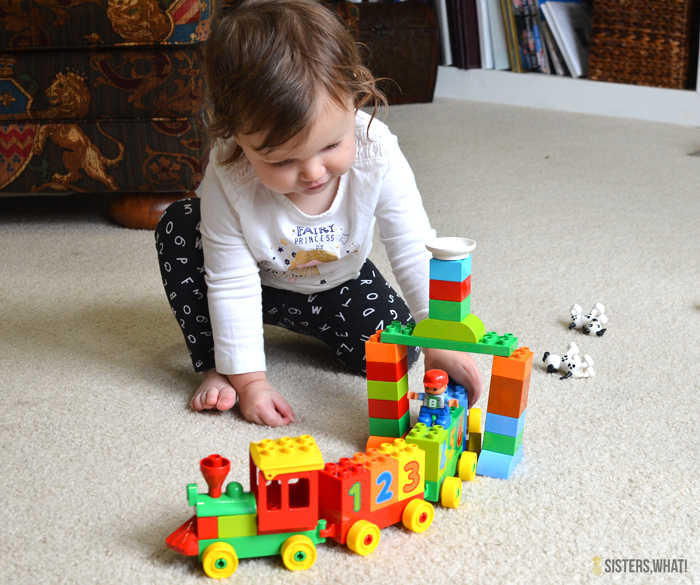 I'm not always the greatest person at playing with my littles; there is always so much to do!! but I when I take the time, I really do love playing with my them and having the chance to watch them grow their imagination and discover. I see so much curiosity and patience as they try new things. 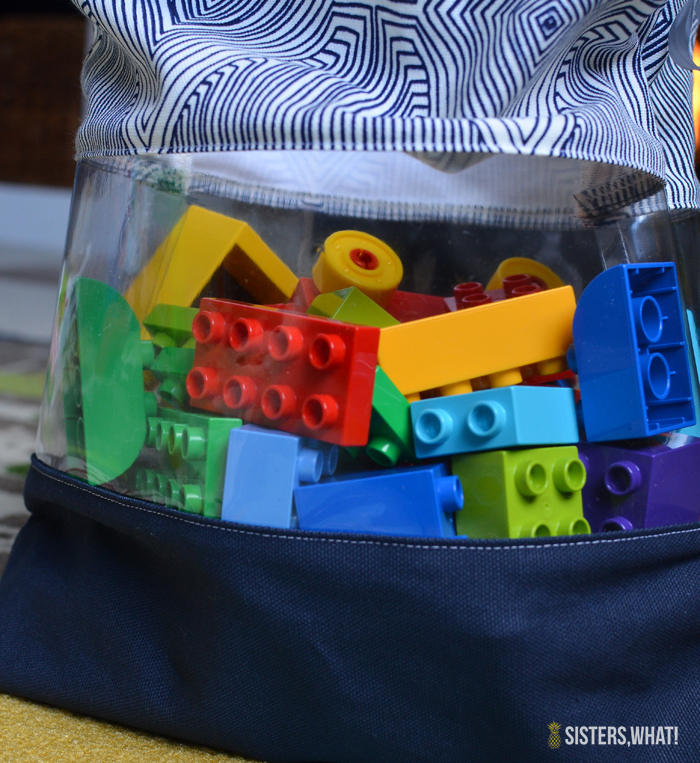 As much as my Sweet Cheek loved the new LEGO® DUPLO®, probably her favorite part of the playing was putting the DUPLO® in and out of the see through drawstring bag. I guess that's part of playing too : ). Now she just has to wait for Christmas to play with them again.